Mazda will cut more than 100 jobs at its European headquarters and hand over more responsibilities to national sales companies as part of the Japanese automaker's bid to end global losses. Mazda will reduce headcount at its European offices in Leverkusen, Germany, to 190 employees from 306, the automaker told Automotive News Europe today. The company is restructuring its operations to improve efficiency because of the "difficult global situation," the company said. Mazda Motor Europe's headquarters will be reduced to a strategic role in the future while its 22 national sales companies in the region will be handed more responsibilities. Mazda's German sales company, which shares the same location as the European headquarters, is not affected by the restructuring, the company said. In an interview at the Geneva auto show last week, Mazda Europe President Jeffrey Guyton said that for the fiscal year ending this month, the company expects sales to decline to about 180,000 units in its 41 European markets from 212,000 units in the fiscal year ended in March 2011. Mazda's Europe region comprises the EU, plus Switzerland, Norway, Turkey and Russia. The new forecast, which implies a decline of about 15 percent, reflects European sales weakening in the final quarter of 2011 and in the first quarter. At the Frankfurt auto show in September, Guyton said Mazda was expecting flat sales at about 210,000 units for the fiscal year ending this month. For the fiscal year beginning in April, Guyton expects Mazda sales to rebound, but he declined to give a specific figure. Mazda will launch sales of the CX-5 compact crossover in Europe by late April with a price range expected between 20,000 euros and 35,000 euros, Guyton said. Mazda expects to sell about 40,000 CX-5s in Europe in a full year, or a quarter of the vehicle's 160,000-unit global output. Mazda will unveil in September at the Paris auto show the new Mazda6 mid-sized sedan, a model previewed by the Takeri concept, which had its European debut at the Geneva show. The new Mazda6 will go on sale in Europe in early 2013 and will have the company's Skyactiv technologies that debut on the CX-5. Skyactiv is the term for Mazda's new lightweight vehicle bodies and chassis systems and high-efficiency powertrains including gasoline and diesel engines. In the fiscal year ended in March 2011, Mazda Europe reported its operating profit rose 125 percent to 7.9 billion yen (72.8 million euros). In the nine months from April to December 2011, operating profit rose 46.8 percent to 6.9 billion yen (63.6 million euros) from the same period in the previous fiscal year. Mazda said that despite lower vehicle shipments and the yen's appreciation, "an improved model mix and fixed cost reductions contributed to profit growth" in Europe. With no European production, Mazda imports the cars it sells in the region from Japan and Thailand. The company has been hit hard by the strengthening of the yen. The European restructuring is part of a broader, global attempt by Mazda to cut costs to regain profitability. 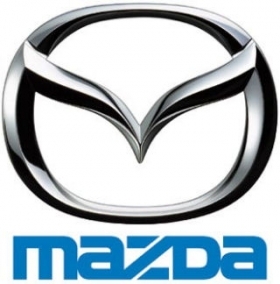 Mazda last month said it expects to post a net loss of 100 billion yen ($1.2 billion) for the fiscal year that ends March 31. It will be Mazda's biggest lost in 11 years, reflecting the export-dependent automaker's exposure to the strong yen. On March 7, Mazda North America said it is offering voluntary buyouts to its 701 U.S. workers. The company aims to raise about $1.9 billion by selling new stock.